FN Wheels – Five Star Now Available! 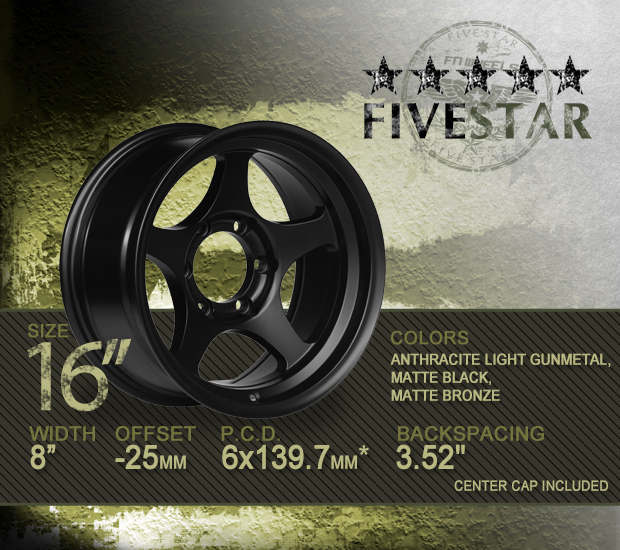 Location: FN Wheels » Five Star Now Available! Keeping with our tradition of offering simple, clean, light-weight designs in desirable fitments and finishes, we’ve added a new wheel to our line-up, the FN Wheels Five Star! Weighing in at just under 19lbs per wheel with a load rating of 955KG (2,100lbs+) and sporting super clean Japanese inspired style, the Five Star is perfect for anyone looking to transform their truck or SUV with an aggressive, yet simple, 5-spoke design. The Five Star is currently available with aggressive specs: 16×8″ -25mm offset / 3.52″ back spacing. These specs are perfect for lifted trucks and SUVs. Brake clearance is excellent – the Five Star clears most OEM and aftermarket brake calipers (including the popular Tundra upgrade calipers that are commonly installed on Tacomas and 4Runners). 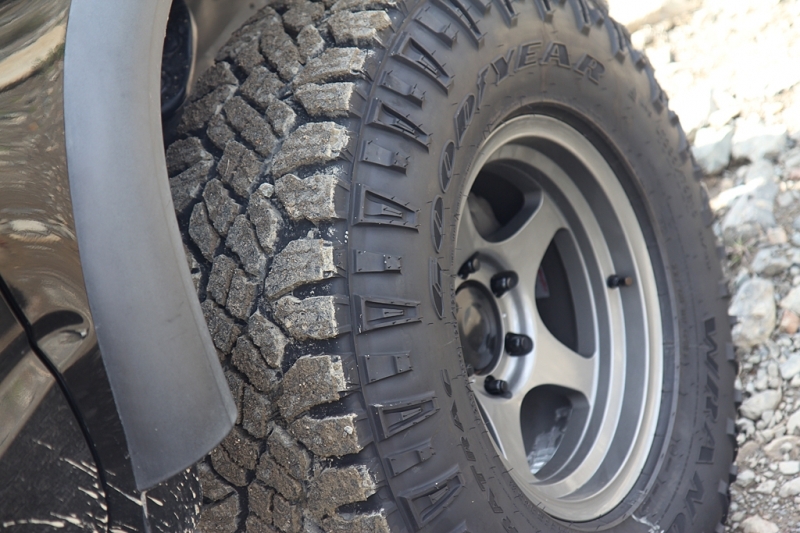 Hello I was inquiring on how much a set of these in matte black would be for my 2001 Tacoma 4×4 . Shipped to New Braunfels Texas. They’re currently available for $775 shipped to you for a set of four. Please e-mail us at [email protected] or call (951)735-1100 if you have any other questions. Due to the large amount of spam generated through the comments on our website, we sometimes miss requests posted directly to the site.